Drinking plenty of purified water allows nutrients to flood your cells while pushing toxins out. Your body is like a river, as long as the water is flowing, you can dump stuff in there and it will stay clean. In countries like Australia and America where the water is fluoridated, this is even more important. Fluoride is toxic to children’s growing brains and research suggests that the greater the exposure the lower the child’s IQ. That’s according to a major 2012 review carried out jointly by Harvard and China Medical University. In the UK we are lucky in that the majority of water is not currently treated with fluoride, however hormones from the contraceptive pill are a major problem. More than 2.5 million women take birth control pills in the UK. These hormones are excreted and end up in our sewage systems and rivers. Even at very low concentrations, these chemicals have harmful effects on fish. ‘Do we want to wait until we see effects in humans, as we did with thalidomide and BSE, or do we act before harm is done?’ says toxicologist Professor Richard Owen of Exeter University in an article about the issue in The Guardian. 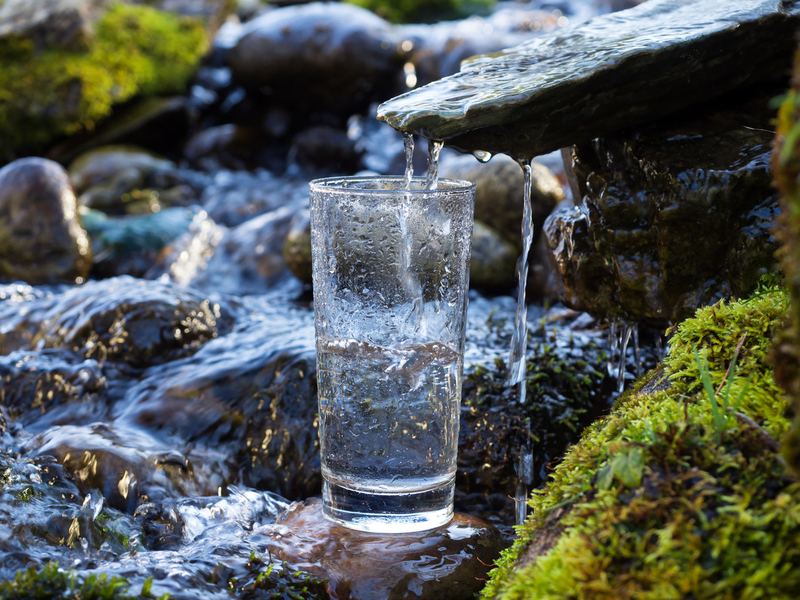 Then there’s chlorine, ‘Cancer risk among people drinking chlorinated water is up to 93% per cent higher than among those whose water doesn’t contain chlorine according to studies from the US Council of Environmental Quality. Which water filter should I buy? Having experimented with several water filters I believe the best option is Reverse Osmosis (RO). This filtration system removes virtually everything including bacteria, chlorine, fluoride, heavy metals, organic compounds (eg oestrogen), viruses. However, it’s worth noting that RO also removes essential minerals so it’s important to remineralise your water. Many RO systems now come with optional remineralising cartridges. Like this one from Vitality4Life. It’s bad enough you have to breathe in synthetic chemicals in your uber (those green trees hanging from the rear view mirror are not benign) you don’t want to do it in your home. A large study that analyzed 74 popular air fresheners, revealed they contain over 350 chemicals including benzene, formaldehyde and phthalates. Benzene has been classified as a known carcinogen by WHO while studies show that chronic exposure to formaldehyde has been linked to leukaemia. So what can you do? EO’s are distilled from flowers, trees, roots and rein and contain over 100 different organic compounds, including terpenes and phenols. Terpenes help remove existing toxins from the liver and kidneys while phenols – which give the oil its natural fragrance – contain high levels of oxygenating molecules and antioxidant properties. 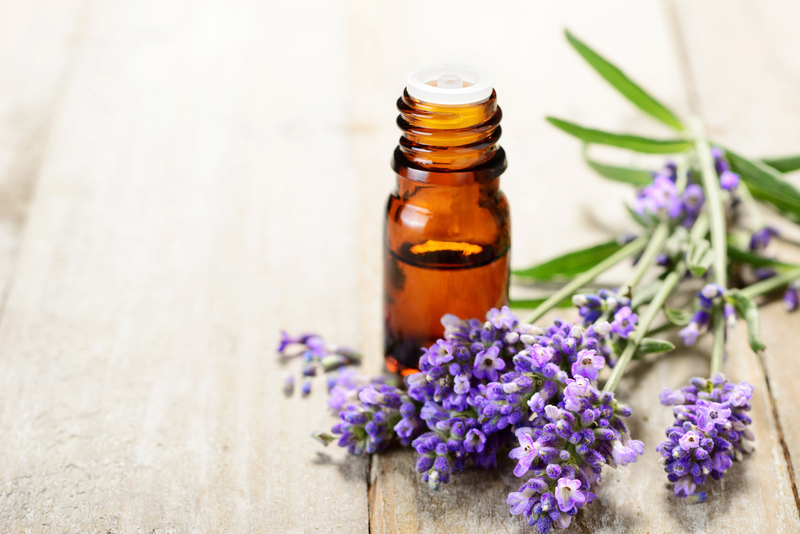 Research shows that inhaling essential oils can help fight free radical toxicity at the cellular level and a 2016 Lebanese study found that essential oils can relieve the ill effects of air pollution, particularly clove bud oil (eugenol) nad the essential oil from basil (estragole). There are many things that prompt us to eat, very few of which have to do with hunger. We might take our cues from a colleague opposite, whose spicy cinnamon muffin compels us to the cafeteria; or perhaps stressful news sends us raiding the pantry or ritual rules our diet. We are creatures of habit and if we’ve spent the last 10 years indulging in a packet of crisps at 4pm, it can take some adjustment to allow ourselves to go without. Having recently returned from a health centre in Austria, I’ve been reminded what it feels like to experience proper hunger pangs and have been forced to take stock of how much I snack. The Original FX Mayr focuses on improving digestion and re-educating you about how to eat. When you eat more slowly, your blood sugar doesn’t spike, but rises gradually. This helps us feel fuller for longer. Unfortunately most of us don’t take the time to savour each bite; we eat on the go, in a rush and our brains barely register the falafel sandwich we just wolfed down. This leads us to eat more, often between meals. In 1977 the average time between meals for adults was 4.4 hours. By 2006 that window had shrunk to a mere 3.5 hours (Popkin and Duffy, 2010). 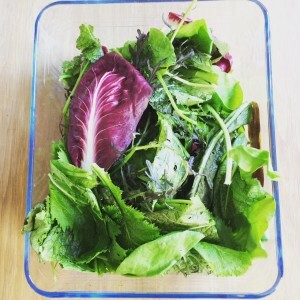 So are there any benefits to eating less often, as previous generations did ? 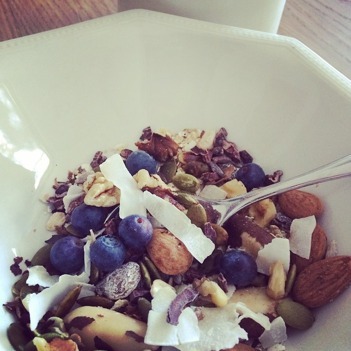 Here are some thoughts on slowing down and snacking less. We are told that snacking helps to balance blood sugar and stops us overeating, but research say otherwise. In 1977 we consumed on average 2,090 calories a day; by 2006 it had increased to 2,533. The main source of this extra energy? Snack food. When you’re constantly making demands on your digestive system, and denying it a break, it’s harder to manage blood sugar levels. When you snack between meals your pancreas gets no rest, as you are constantly triggering insulin production. This leads to more blood sugar spikes – especially if you’re snacking on simple carbs like bread, biscuits or water crackers. Three to six hours is the time it takes the body to start releasing energy from our fat stores. In other words, if you really want to kick start your metabolism, you need to quit grazing. There is also evidence to suggest that longer periods between meals increase the microbial diversity of your colon, which has a positive effect on weight and metabolism. A Danish study published in the journal Nature found that people who are obese have fewer and less diverse gut bacteria than their leaner counterparts (Le Chatelier, 2014). If there is one thing I’ve learnt as a health coach, it’s that no human body is the same and our needs continually change as our bodies evolve. During pregnancy, for example, blood sugar levels tend to fluctuate, which might require eating more often (I recommend tamari roasted cashews, paleo crackers with nut butter or coconut yoghurt for slow release energy). Eating straight after a vigorous workout, also makes sense. Following intense physical activity your body naturally enters a catabolic (muscle breakdown) phase and eating protein five to fifteen minutes after training can aid recovery. For more on How To Eat After Exercise, click here. Eating too much of the sweet stuff not only serves to expand our waistlines, it can also make us more anxious, can accelerate ageing and can increase our risk of Alzheimer’s and cancer. The Sugar Link: A 2009 review of studies that included over 500,000 people found an increased risk of cancer, and of dying of cancer, for every extra unit of glucose in the blood. Conventional doctors have long known that cancer loves sugar – in fact, PET scans operate on this premise. Doctors check patients for cancer by injecting them with radioactive sugar; if there’s cancer in the body it makes a bee-line for the sugar and lights up on the PET scan. Cancer cells are basically sugar guzzling machines: ‘A normal healthy cell has four receptor sites for sugar – a cancer cell has 96,’ explains Dr. Leigh Erin Connealy a leading integrative physician based in California. The Sugar Link: Although science has yet to make a direct connection between Alzheimer’s and sugar intake the case is growing. Several studies have shown that brain cells shrink and become tangled from high blood sugar levels over time. Coconut Oil: High in lauric acid – a beneficial fat – coconut oil slows down the digestion of food, increasing the sense of satiety after a meal. It also slows the rate carbohydrates are broken down into blood glucose. Supermodel Miranda Kerr swears by coconut oil to stay thin, a claim now backed by science. In one study, women who received two tablespoons of coconut oil (30 ml), daily, over a period of 12 weeks, experienced both a reduction in waist circumference, as well as a boost in their ‘good’ HDL cholesterol levels. Wild and organic animal protein: Eating protein with every meal, is like putting a log on your metabolic fire, according to Sarah Wilson author of I Quit Sugar. Go for a small amount of organic roast chicken, smoked salmon, prawns – naturally sweet – or one boiled egg. Vegans could try a ‘chia egg.’ Packed with fibre it will keep you feeling full. Nuts and Seeds: I’ve written extensively about nuts in this article. But just to re-cap, a large scale study from Harvard University found those who include nuts in their diet are slimmer than those who don’t and also have a reduced risk of pancreatic cancer. Thanks to the combination of protein and healthy fats – plus mood boosting magnesium – they are the ideal snack for when sugar cravings hit. Go for almonds (alkaline forming) cashews (which contain pre-cursors to serotonin) and walnuts (a source of omega-3 and melatonin). If you’re the type of person who can’t stop once you pop a packet, practise damage control by keeping a small SOS sandwich bag in your top drawer. Avocado with vegetable crackers: A recent study found that half an avocado at lunch cut 4pm hunger pangs by 40 per cent. You can include avocado in your salad or dressing or slather it on vegetable crackers – I like these raw sprouted ‘crackits’ from InSpiral. Sweet Potato: Dice up cubes and roast with a little olive oil to add to your dinner (and then lunch the next day) for a naturally sweet hit. Sweet potatoes are also rich in B6, which is important for the production of serotonin- the ‘feel-good’ neurotransmitter. Finally, a teaspoon of Apple Cider Vinegar diluted in water before meals can help control insulin and glucose spikes. Try to find an unpasteurized version; you’ll see a cloudy mass of good bacteria, known as ‘the mother’ floating in the bottle. In terms of natural sugars the only ones I’d recommend are honey, maple syrup or Coconut Syrup – which are all lower in glucose and fructose than refined sugars, as well as being amino-acid and mineral packed. Since falling pregnant I have been plagued by headaches. Previously, I would have rubbed my temples, rehydrated and – if the pain persisted and a deadline was looming – cracked open the painkillers. But with a growing baby to consider, I have so far steered clear. Although doctors insist that aspirin and paracetamol are safe during pregnancy, I have my reservations. One study found that children born to mothers who took aspirin in the first half of pregnancy had significantly lower IQs and reduced ability to concentrate. Paracetamol, on the other hand, has been linked to cell mutations in both humans and animals. Of course painkillers should never be considered benign substances, whether you are expecting or not. Did you know 24,000 women a year in Britain are admitted to hospital suffering side effects from paracetamol? These over-the-counter drugs have been linked to gastric ulcers and liver damage. In a 2009 German study, researchers found that drug-induced liver-toxicity (particularly from acetaminophen aka paracetamol/Tylenol) has replaced viral hepatitis as the most frequent cause of acute liver failure. So where do you turn when your head is pounding and the nausea is setting in? Try these options and your body will thank you in the long run. 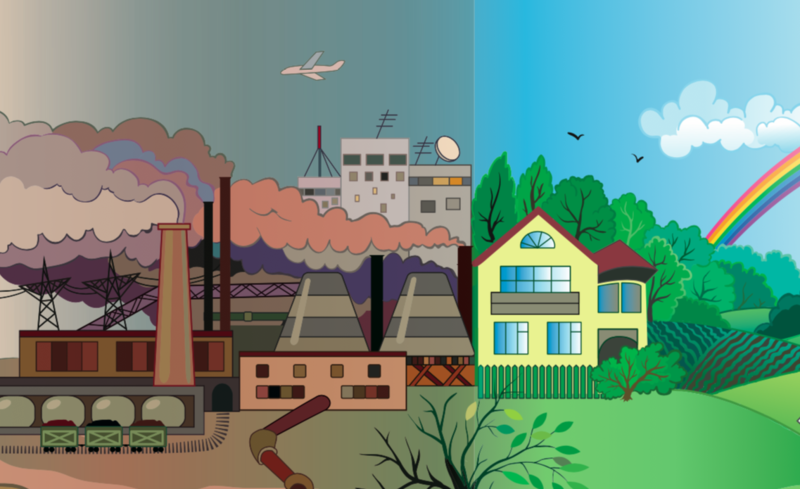 O2 Drops: Since prehistoric times, the level of oxygen in the earth’s atmosphere has dropped by over a third and in polluted cities the decline may be more than 50 per cent. What does this have to do with headaches? According to Dr. Arthur C. Guyton, MD author of The Textbook of Medical Physiology ‘…All chronic pain, suffering, and diseases are caused from a lack of oxygen at the cell level.’ After researching oxidative therapies for my book ‘Mum’s Not Having Chemo’ I’m well aware that getting more oxygen into the cells can alleviate pain, boost energy and help protect the body from disease. These drops of stabilized oxygen and minerals are well worth a try. Start with 15-30 drops 2-3 times/day under tongue and read more here. Peppermint Oil: Mix three drops (ideally with one drop of lavender) on your fingers and rub directly onto the back of your neck or near your temples for instant analgesia. Once reserved for Mother’s Day Gift Sets, essential oils are emerging as powerful natural medicine. Clinical trials show several essential oils can kill deadly airborne-bacteria, and many contain anti-cancer and anti-viral properties. University of Kiel researchers found that peppermint blocked headache pain in a double-blind placebo controlled study. Coffee Enemas: Pain and headaches frequently come up in my health coaching practice and I regularly recommend (and talk people through) coffee enemas. Dr. Max Gerson, a German physician, made coffee enemas famous when he published reports on their benefit for cancer patients. However he originally used enemas to cure his own migraines. Coffee enemas can help reduce inflammation, detox the liver and increase levels of glutathione – known as the mother of all antioxidants. I have tried this remedy for headaches (and hangovers) in the past and all I can say is that it worked for me. Although it is important to note that it is not recommended during pregnancy. For detailed instructions and to purchase a kit, click here. Pulsed Electro Magnetic Field Therapy (PEMF): Dr. Oz has described PEMF as ‘the revolutionary cure for pain’ and there are thousands of university papers attesting to its value. Dr. Garry Gordon says that PEMF ‘increases cellular oxygen levels, improves the uptake of nutrients and improves lymphatic flow.’ The products created by Dr. Pawluk come highly recommended and start from around $429 for a portable unit. Since the machine is battery operated you don’t have to worry about electrical compatibility if you live in Australia or Britain. In one double-blind placebo-controlled study 42 migraine sufferers were treated with PEMF. Seventy three percent of participants reported decreased headaches. The average time spent preparing a meal has dropped from about an hour in 1980 to 34 minutes today according to research. The UK study, which examined the eating and cooking habits of 4,000 UK households from 1980 to 2012, found that the sandwich has become the most commonly eaten meal. Against this bleak backdrop there is a beacon of hope in the form of healthy food delivery services. These companies offer choice, convenience and the opportunity to eat fresh food without sacrificing precious down time. As a health coach I regularly see clients who face the challenge of wanting to eat healthier but work long hours. No one wants to head to the shops, find a recipe and start cooking when you walk through the door at 7.30pm; especially when there are kids vying for your attention, clothes to be washed and… telly to be watched. Let’s be honest. The lure of a glass of wine and Game of Thrones is an appealing alternative to shuffling around Sainsbury’s looking for cumin. Even if time is on your side, there is the issue of food waste. Globally, we now throw away 50 per cent of edible food and in the UK almost 50 per cent of food waste comes from the home. So often that coriander you bought for the curry on Tuesday and cabbage for the slaw is left to languish at the back of the crisper (unless you’re into juicing, which is the easiest and healthiest antidote to food waste). Could food delivery services be the answer? Certainly more of us are choosing to have fresh ingredients delivered to our doorstep at an affordable price. One global company, Hello Fresh, delivered 6.1million meals in November 2015. It might not be the end of the ready meal, but it is certainly revolutionizing the way we eat. Hello Fresh: The company has Jamie Oliver on board and operates in Germany, US, UK, Australia, Austria, The Netherlands and Belgium. Each week you simply choose form an array of recipes online – like Bangladeshi Lamb Biryani or Jamie’s Tomato Tagliatelle – and the ingredients are delivered to your door. Cost: From £4 per meal for a family. Mindfulchef.com: All the meals are organic, gluten free and contain no refined carbs. You can choose between classic or plant-based so it’s perfect for the Paleo or Vegan eater alike. Think beef with courgetti and cashews or Malaysian Tofu and carrot noodle laksa. Cost: From £6 a meal (plant-based) £7 for classic. ChopHealthy.com: The new company from Natasha Corrett, author of the Honestly Healthy book series, will launch on the 23rd May. 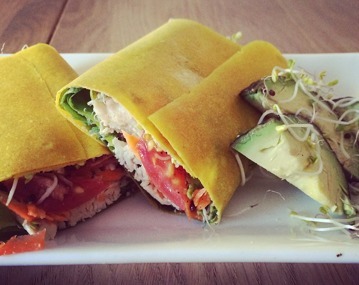 As a trained chef Natasha knows how to make alkaline, plant-based recipes delicious. All the ingredients are organic and the recipes free from gluten, wheat and cow’s Dairy. Think Coconut Flour Pizza and chickpea coconut curry. Cost: From £6 a meal, based on two people and three recipes a week. The Pure Package: This gourmet food delivery service provides high quality meals with zero effort required on your part. All you need is an oven, a healthy appetite (and a healthy income). Fans include Hayley Atwell, Lily Cole and Florence Welch. As a journalist I recently enjoyed a two-day press trial of the exclusive service. I received a special ‘pregnancy package’ however you could also try the Japanese Body Boost, the DNA diet or Healthy Skin and Ageing. As someone who typically cooks 90 per cent of my meals from scratch, it was a treat to have a 48-hour holiday from washing up and it was a great way to get more variety into my diet. 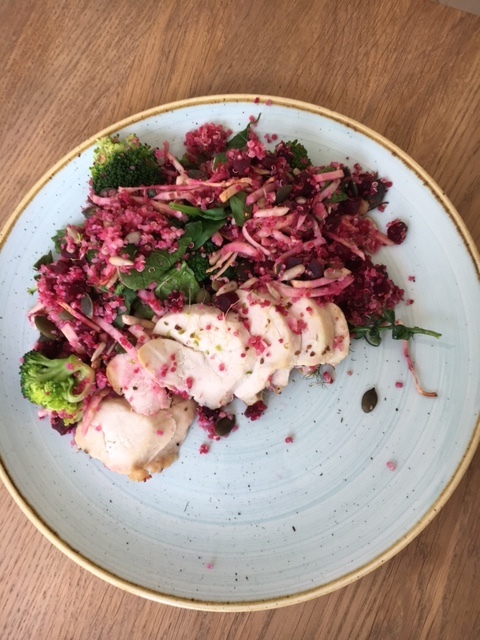 The chicken superfood salad (pictured above) was a highlight and the snacks all tasty (including homemade kalamata olive tapenade with organic oatcakes). I was initially guilt-struck at how quickly my bin filled with plastic packaging, however was relieved to discover that everything, including the cutlery, is recyclable. The company does not use any GM food and serves a minimum of seven portions of fruit and vegetables per day. 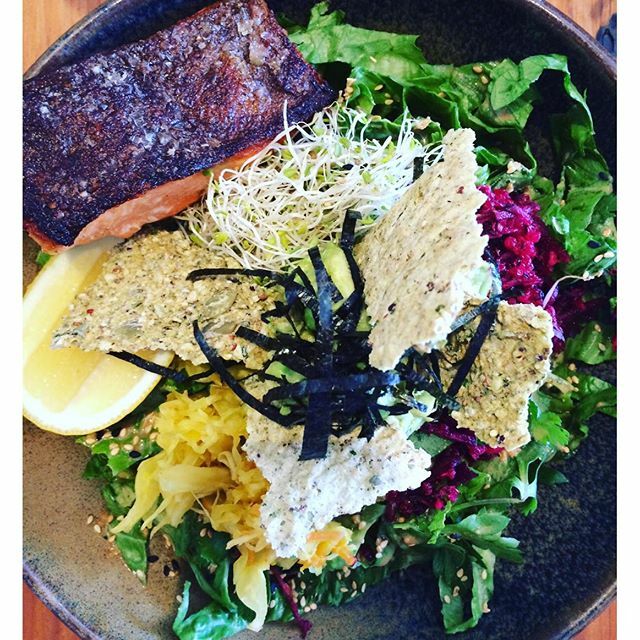 All the meat is grass-fed and the fish ethically sourced. 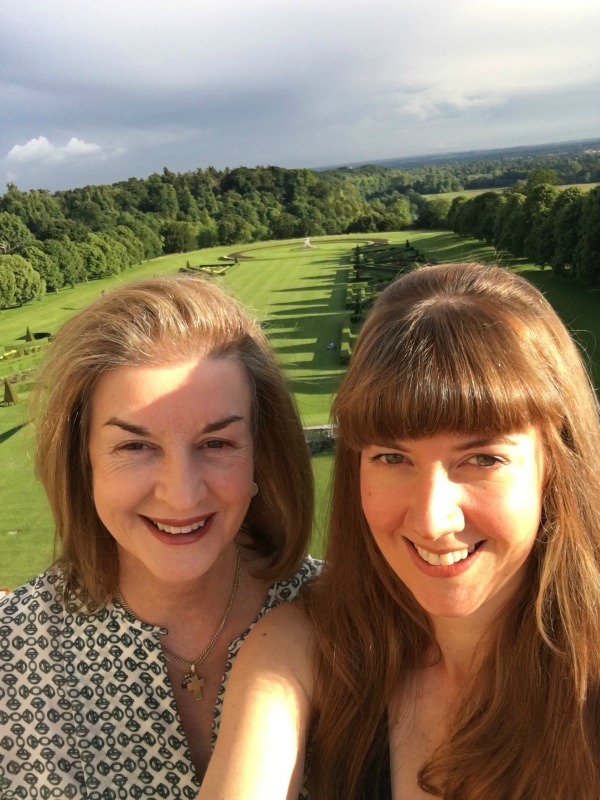 I had the pleasure of meeting the founder of the company, Jennifer Irvine, at a recent industry event and was impressed by her grit. Irvine might serve celebrities, but when the mother-of-four first launched the company she would rise at 4am to personally deliver all the meals (and get to know the twilight toilet stops for her future employees). Cost: A 10-day program for breakfast, lunch and dinner starts from £44.95 a day. 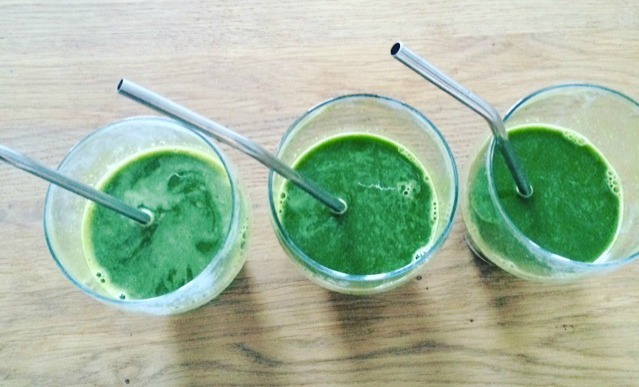 Early on in our relationship, my husband asked me to name my weirdest health habit. He wanted to know, up front, what he was dealing with. I hesitated for a moment before sharing that I never touch receipts, unless I absolutely have to. He was suitably satisfied with the level of extremity. But the latest evidence suggests my behavior is validated. Few people realise that BPA (bisphenol A) is dusted onto receipt surfaces to activate the printing dye. It can rub off on your fingers in seconds and enter your blood stream within hours. What’s so bad about BPA? It’s been linked to cancer – (particularly brain, breast, prostate), hormonal disruption and premature birth. It can also make you fat. In fact, BPA was used in the 1930s as a synthetic oestrogen to make animals fat. So if you’ve got a little bit of a belly, look at how you’re storing your food – ie the containers you use. It’s not just what you eat, but what you eat it in that can make a difference. Choose glass and steel instead of plastic. And don’t use hand sanitizer – especially if you’ve just touched the receipt for your sandwich. A 2014 study found that BPA absorption is enhanced by as much as 100 times thanks to the chemicals in your handbag disinfectant. Naturally-minded companies – including Neal’s Yard Remedies in the UK – are now using BPA-free receipts. I recently discovered the eco-dry cleaner Blanc does too. My local beauty salon, Violet Adair (which, incidentally uses old fashioned beeswax – with camomile – for the best hair removal) recently switched to a completely receipt-less payment system; the iZettle. It’s certainly a good idea for small businesses. If you currently work for a company that uses BPA receipts, then show your boss the evidence and request that they choose a less toxic option. And, in the meantime, do your best to pull BPA out of your body. Spicy Korean Kimchi has been shown to reduce the effects of BPA and leafy greens like spinach and kale can counteract the cellular damage done by BPA according to studies from Duke University. How many of you had a coffee this morning? How many of you are eagerly anticipating your first sip? 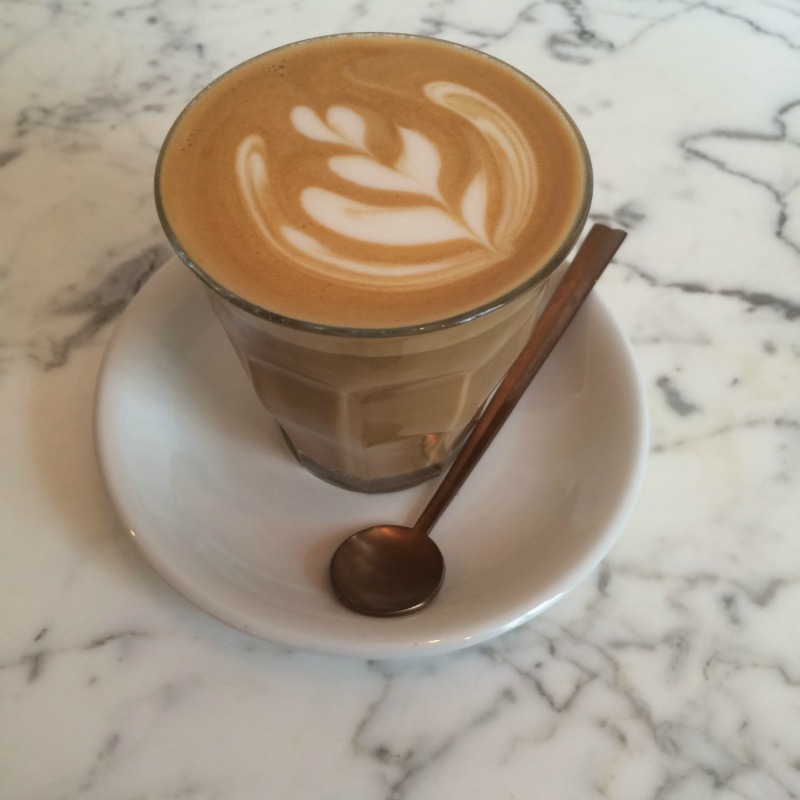 Maybe you like to save your latte for that lull around 11am, or the 4pm slump. Taking a coffee break gives you the chance to slip out of the office and step away from your screen. It also provides a reason to take a pause. And for some people, that’s all they are really craving. 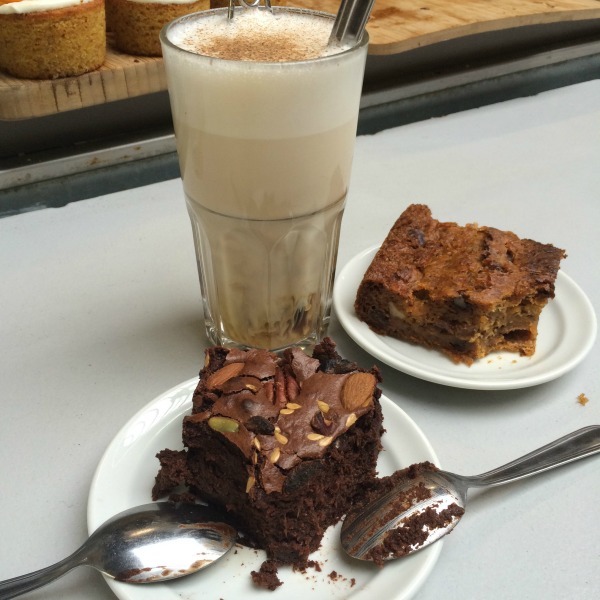 Lets be clear, coffee is not the devil – but nor is it as innocuous as some people think. It is a strong substance that performs differently in each of us. Which is why it can make some people put on weight and others dramatically drop it. It can also provide an enjoyable pep for some people, while can leave others with pounding hearts, sleepless nights and lowered immunity. For coffee lovers there is some good news; it has been shown to reduce your risk of Alzheimer’s, liver cancer and in a meta-analysis of nearly 480,000 people, lower your risk of stroke. So why should you cut it out? I’ve outlined a few points below, but for those who will continue to enjoy the popular pick-me-up, see my golden rules for healthy coffee drinking at the bottom. * Coffee doesn’t give you a chance to relax; to find neutral. So when you’re craving that caffeine hit remember that nothing in coffee gives you energy. It’s a drug that affects your adrenal glands, and your nervous system. It keeps you going, even when you want to stop – or sleep. Think about it for a moment. Exercise gives you energy, deep breathing fills your body with life force, bathing in Epsom salts soaks your cells in magnesium, which is crucial for energy production… but coffee? It generally leaves you wired, and then tired. * Coffee can make you fat, according to Dr. Libby Weaver, a New Zealand nutritional biochemist and author of Accidentally Overweight. Dr Weaver explains that caffeine stimulates the production of adrenalin and when adrenalin is released your blood sugar spikes. What happens when blood sugar elevates? Insulin – the fat storage hormone – is released to deal with the excess glucose. What is not used or stored in your muscles ends up on your hips. *Excessive caffeine depletes magnesium. Low levels of magnesium are linked to everything from skyrocketing stress and poor sleep to bone loss and cancer. In a recent survey, 46% of patients admitted to a cancer care unit in Brazil were found to be clinically deficient in magnesium. *Coffee reduces your electrical energy. Yes really. A study from an independent division of Eastern State University in Cheny Washington, shows that sipping a cup of coffee can lower your electrical frequency in a matter of seconds. Why is this bad? The author of the study, Bruce Tainio, found that the immune system becomes compromised when your frequency drops. If you’re a coffee lover, reading this post is unlikely to change your morning habit. Believe me, giving up coffee was one of the hardest things I had to do, but four years on, I don’t regret it. It took 18 months to fully wean myself off my one almond milk latte. But for me it was worth it. My insomnia disappeared (almost overnight) my headaches became a thing of the past and I had more energy. I still miss it though, and sometimes on holiday, I treat myself to a cold brew coffee. Read below to see why this is the healthiest coffee to drink and how you can cut back on coffee if you need to. Always eat before heaving coffee. Ideally breakfast should include some protein and fat (porridge with peanut butter, eggs and avo on toast) to help offset the blood sugar spike. Drink your brew between 10-2pm or 2pm-5pm say scientists. Why? It’s to do with cortisol. The hormone naturally peaks in the morning (around 8am) to help wake us up, but when you habitually drink coffee first thing it replaces that boost. To reduce the chance of coffee interfering with your natural rhythms save it for when the hormone naturally dips – at the above times. Choose organic. Coffee is generally heavily sprayed with pesticides and highly susceptible to mold toxins according to Kevin Gianni, author of Kale and Coffee. One mold in particular, ochratoxin A, is linked to cancer of the kidneys and bladder. Try Cold Brew. Now found in every artisan Australian coffee shop, it is made by steeping coffee beans for 20 hours in water. ‘The lack of heat makes it far less acidic and so kinder on digestion,’ says Natasha Corrett founder of Honestly Healthy. 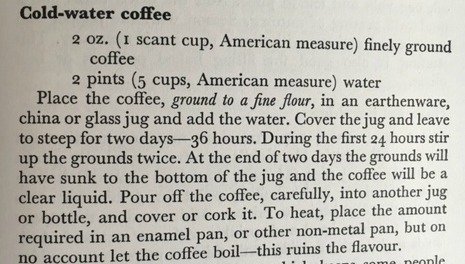 Interestingly, cold-brew coffee is nothing new. I couldn’t believe it when I stumbled upon this entry in a nutrition book from 1973, when I was clearing my bookshelf! Avoid Decaf. This is especially important if you are pregnant. Decaf tends to be moldier and also undergoes a chemical process to remove the caffeine. This ‘Direct Process’ involves either the use of methyl chloride (widely used as a paint stripper and degreaser) or ethyl acetate (used to make cigarettes, glue and nail polish remover). However organic is OK. For Decaf to be certified organic, the company must use one of two natural methods – either carbon dioxide or water (see the Swiss water method) to strip the caffeine. Try Organic Decaf Coffee from Coffee Plant. 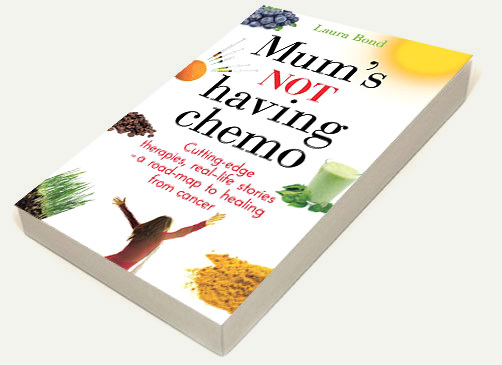 Laura Bond is a journalist, author and nutritional health coach. She specialises in helping clients beat stress, balance their gut flora, lose weight and prepare their bodies for babies. For more information, click here. What comes to mind when you think of carbs: pasta, peanut butter on toast, granola? Or maybe it’s quinoa, kamut spaghetti and sourdough spelt bread. These ancient grains are certainly more nutritious – and kinder to the stomach – than refined carbs. Quinoa for example is recognised as a superfood by NASA, packed with protein and gluten-free. Properly fermented sourdough is created using a live culture, making it good for our gut health and better for slow releasing energy. However if you really want to step up efforts to lose weight and load your body with phytonutrients, swap grains for plant carbs – think vegetables, nuts and seeds. These foods are rich in anti-cancer compounds, fibre and antioxidants – and won’t leave you slumping on the sofa. 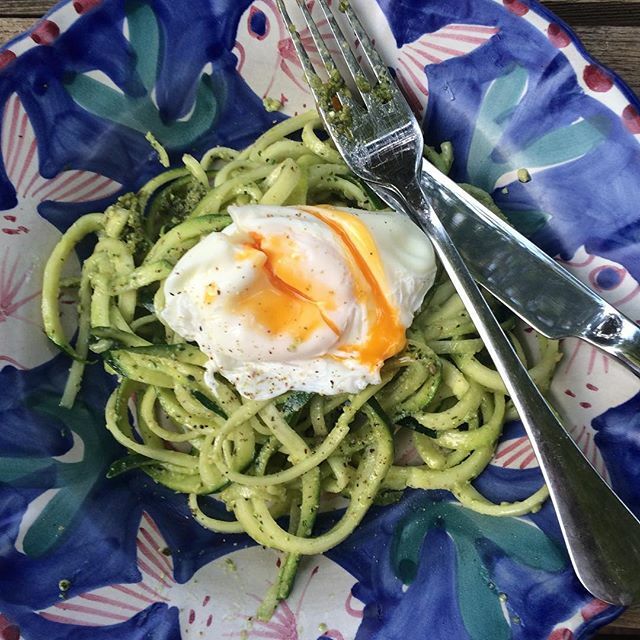 A 125g serve of raw courgette spaghetti [without sauce] contains 21 calories and less than 4 g of carbs, compared with 346 calories and 64 g of carbs in regular spaghetti. Win! Courgettes also contain Vitamin C as well as blood pressure lowering potassium. Plus, the soluble fibre in the skin stabilizes blood sugar and helps keep you regular. Once reserved for cauliflower cheese, this cruciferous vegetable is now a fixture on raw food menus. Cauliflower supports the liver and kidneys and contains sulforaphane, shown to suppress breast cancer cells. 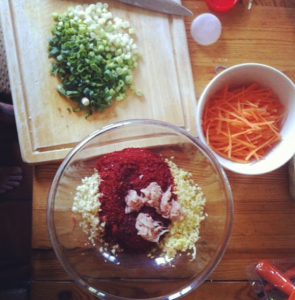 How to make it: Simply cut the cauli into florets and ‘pulse’ in a food processor for 30 seconds or so. Be careful not to over blend or you will end up with cauliflower mash. 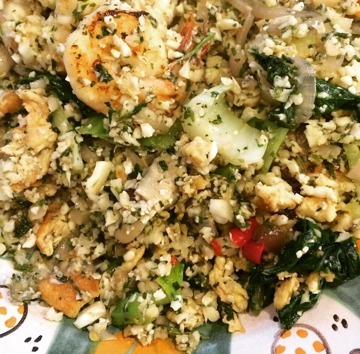 I love Asian flavours and have been experimenting with fried cauli rice – I simmer ginger, garlic, and onions then add prawns, mushrooms and lastly the cauliflower – as suggested by Paleo superstar Pete Evans author of Healthy Everyday. Keep the warm crusty sourdough for a weekend treat and try these vegetable crackers for an everyday alternative. 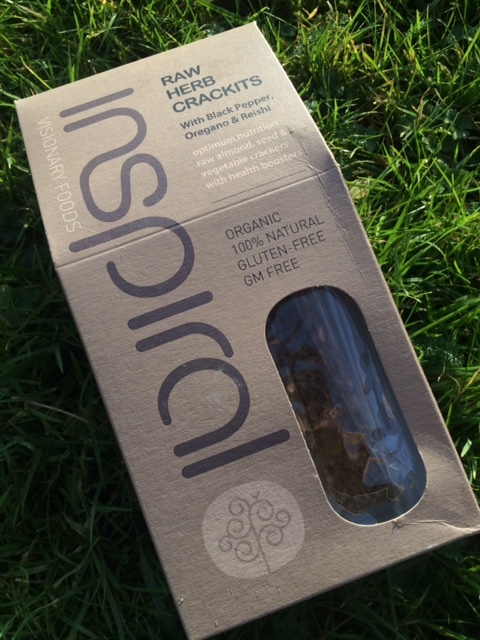 These Raw Herb Crackits from Inspiral are crisp, dense and crunchy and stay fresh for a week after opening. They are made with courgette, carrots, almonds, chia seeds, plus anti-cancer superfoods like reishi mushrooms and flaxseeds. If you live in Australia try Activated Organic Crackers from Good Natured Living – which I’ve been enjoying on holiday. How to make it: Slather in nut butter or top with avocado, tomato a little salt and sauerkraut. Nothing beats a wrap for a speedy on-the-go lunch and it can be a great way to use up leftovers. Made with coconut meat and coconut oil, a coconut wrap has just 70 calories and 4g of carbs, compared to an average of 180 calories and 28g carbs in a spelt wrap. Plus coconut oil helps boost the metabolism and stimulate collagen production to keep you looking young. How to make it: Fill with whatever you fancy – try organic chicken, salad, olive oil mayo and broccoli sprouts, or raw slaw and peanut butter sauce. Rather than eat store-bought muesli, in the morning I combine activated almonds, walnuts, brazil nuts, and sunflower seeds. I also sprinkle in superfoods like cacao nibs and hemp seeds, which are a great source of plant-based protein and contain the anti-cancer antioxidant phytol. 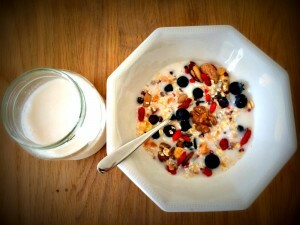 How to make it: Combine the nuts and seeds and drench in almond milk or serve with a side of coconut yoghurt. I developed this recipe for Planet Organic using their Sprouted-Buckwheat Flour. 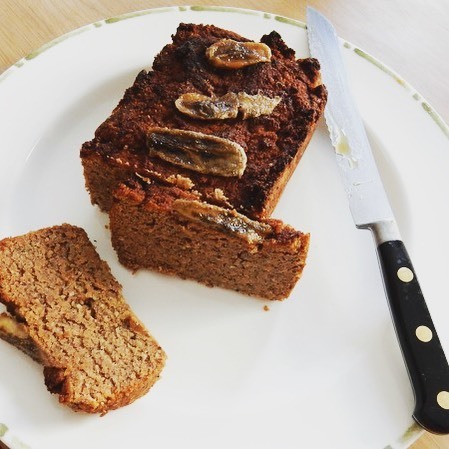 Not only is buckwheat flour gluten free but when you ‘activate’ or sprout the grain, enzymes are released which break down anti-nutrients and make the bread more nutritious and digestible. First, make the ‘chia egg’ by covering chia seeds with 9 tablespoons of filtered water in a small bowl, then leave to thicken in the fridge for 15 minutes. Preheat the oven to 170C/gas 3. Line a loaf tin with unbleached parchment paper. Whisk the ‘chia eggs,’ honey, oil, courgette and banana together. Add the remaining ingredients and mix well. Pour into the loaf tin and bake for 45-60 minutes. Test by inserting a skewer into the loaf, if it comes out clean, then it’s done! 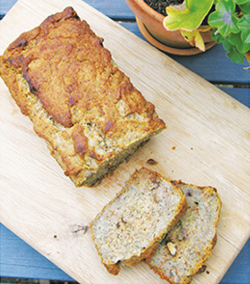 Top with chopped dates and walnuts and serve with sprouted nut butter – or whatever you fancy.